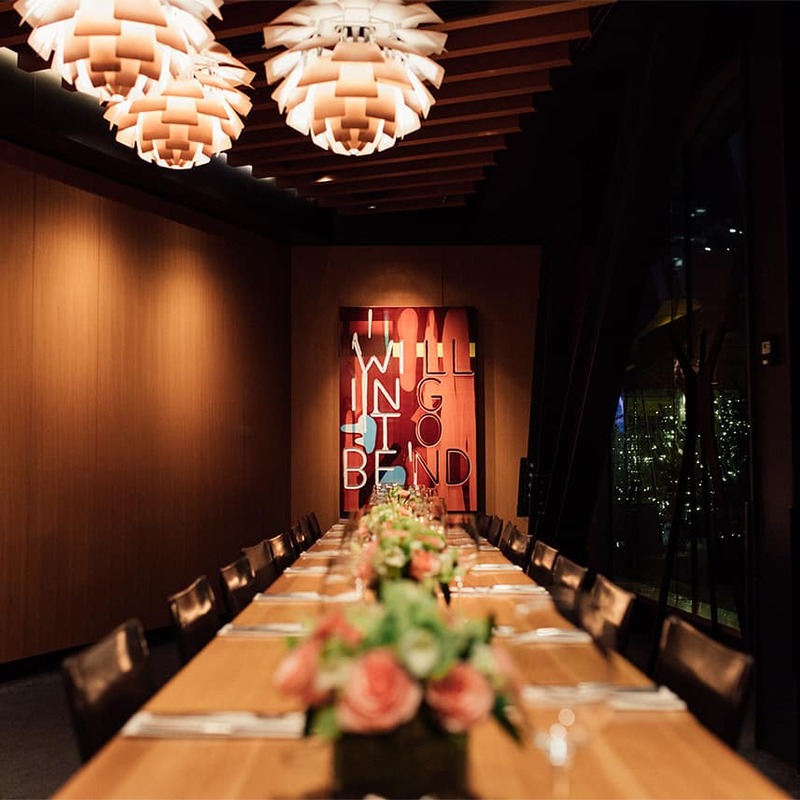 Private Dining at the #1 Restaurant in Downtown Vancouver. Our private dining room can accommodate a maximum of 44 people seated or 60 people standing (for a standing/cocktail reception). We are able to separate the space into two smaller rooms with our flexible glass partition, one for a maximum of 20 guests and the other for 14 people or less. For the private dining room, a minimum price per head is required for seated parties up to 44 people as well as a room rental fee. For a standing/cocktail reception, a minimum food and beverage spend is required as well as a room rental fee. A $500 deposit is required upon the time of the reservation and will only be charged depending on the timing of the reservation is canceled.